Product prices and availability are accurate as of 2019-04-17 00:41:34 UTC and are subject to change. Any price and availability information displayed on http://www.amazon.com/ at the time of purchase will apply to the purchase of this product. Looking for a natural men’s lip balm with sunscreen protection? You’ve found the best lip balm for men. Our all natural, organic lip balm for men has been tested in the harshest of wind and sun conditions. It provides long-lasting moisture and protection. B-spectrum UVA/UVB protection with SPF15. No shine formula. Organic Olive Oil and Vitamin E: Nourish and hydrate your lips. Organic Beeswax: Seals in moisture so it can’t escape your lips. These - along with other powerful, natural ingredients - have been scientifically formulated to create the best lip balm for men. 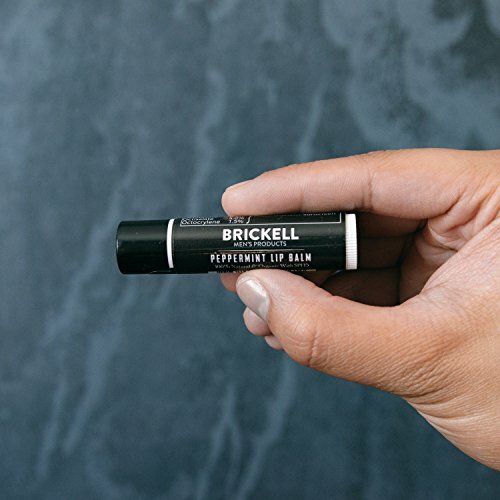 How to Use It: Use this natural lip balm for men as needed on dry, cracked, or chapped lips. What Else Should You Know? Our lip balm for men is 100% natural and 100% organic. Has a light, delicious mint flavor and no-shine formula. All our products contain zero sulfates, parabens, glycols, phthalates, petrochemicals, silicones, PEG’s, sulfates, synthetic fragrances, or gluten. Always vegan, no animal testing, 100% Certified Organic ingredients when possible. Click “Add to Cart” for relief from chapped, cracked lips. What It Does: Repairs chapped, cracked lips while providing long lasting moisture and protection against UVA/UVB rays with SPF15. No shine formula. Who It's For: Men of any age who want to protect and restore chapped, cracked lips. 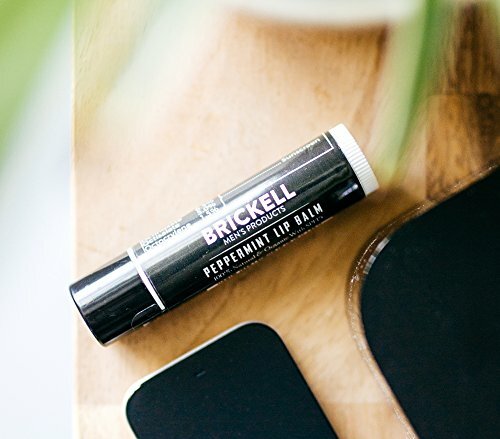 How It Works: This natural, organic lip balm for men uses a powerful formula to protect and repair chapped, cracked lips. Key Ingredients: Natural & Certified Organic ingredients, including beeswax, olive oil, vitamin E, and SPF 15. 100% natural, 100% organic. Who We Are: Brickell creates skincare and grooming products for men using natural & certified organic ingredients. Our products are sold in over 20 countries and have appeared in GQ, Men's Health, Men's Journal, and other popular men's magazines.